What a year it’s been for Houston restaurants. The wave of post-Harvey closings has been sad, but, by any measure, it’s been an incredible time to be an eater in Houston. Just consider the sheer amount of culinary talent that launched new concepts this year. The roster includes four James Beard Best Chef Southwest award winners — Hugo Ortega (Xochi), Paul Qui (Aqui), Chris Shepherd (One Fifth), and Justin Yu (Better Luck Tomorrow and Theodore Rex) — along with a Food & Wine Best New Chef winner in Bryan Caswell (Oxbow 7) and an Eater Young Gun in Ryan Lachaine (Riel). I recognize that the assault charges pending against Qui make choosing to include Aqui controversial, especially in light of the current climate of sexual harassment allegations against many public figures. The allegations are disturbing, and, if convicted, the chef deserves to suffer what consequences the law dictates. However, I consider it my job to inform CultureMap readers about new restaurants and offer an opinion about them as places to dine. I have friends who will never set foot in Aqui, and I respect their decision. That aside, from the perspective of the culinary talent involved in this year's group of openings, 2017 has been Houston’s best year for new restaurants since 2012, which is when Underbelly, Oxheart, The Pass & Provisions, Uchi, Roost, and Triniti all made a splash (I know Roost and Triniti debuted in December 2011, don’t @ me). What makes this year even more intriguing than 2012 is that the trend of out of town restaurant groups seeking opportunity has only become more pronounced. 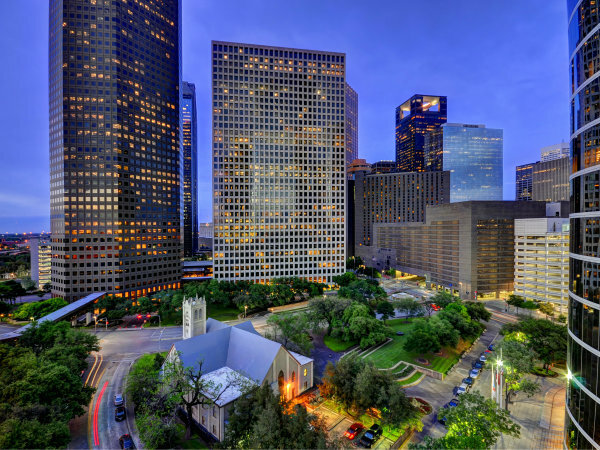 Yauatcha, Roka Akor, Chengdu Taste, 85°C Bakery Cafe, Doris Metropolitan, Ramen Tatsu-ya, and Tacodeli have all made positive contributions to Houston’s dining scene. While all of these developments would have been enough to cement this year’s status as a very good for one dining, it still doesn’t include chefs like Travis Lenig (Field & Tides), Manuel Pucha (Maison Pucha Bistro), and Jason Vaughan (Nancy’s Hustle) who are finally getting the chance to step out on their own. This year also featured well-executed new concepts from established restaurant groups like Cherry Pie Hospitality (Star Fish), Pappas Restaurants (Delta Blues Smokehouse), and Goode Company (Kitchen & Cantina). 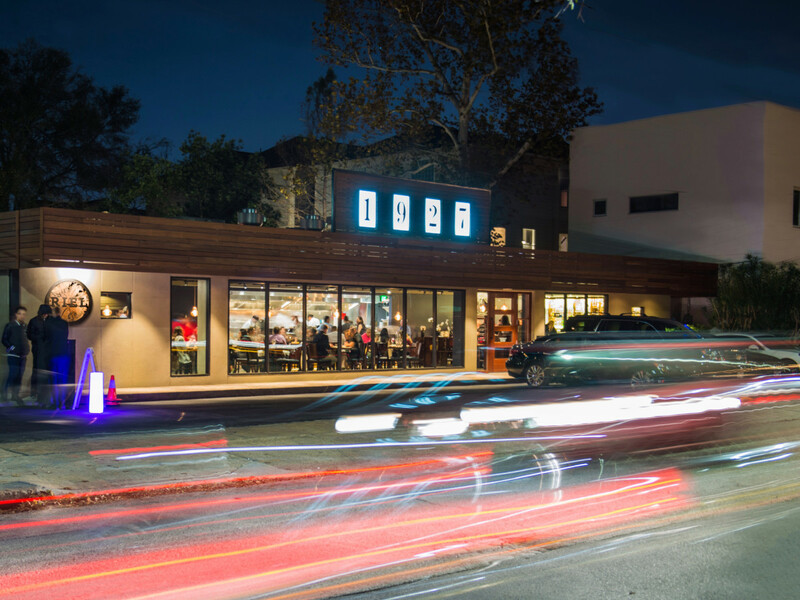 In addition, places like The Branch, Better Luck Tomorrow, Presidio, and Heights Bier Garten are redefining the boundary between bars and restaurants. 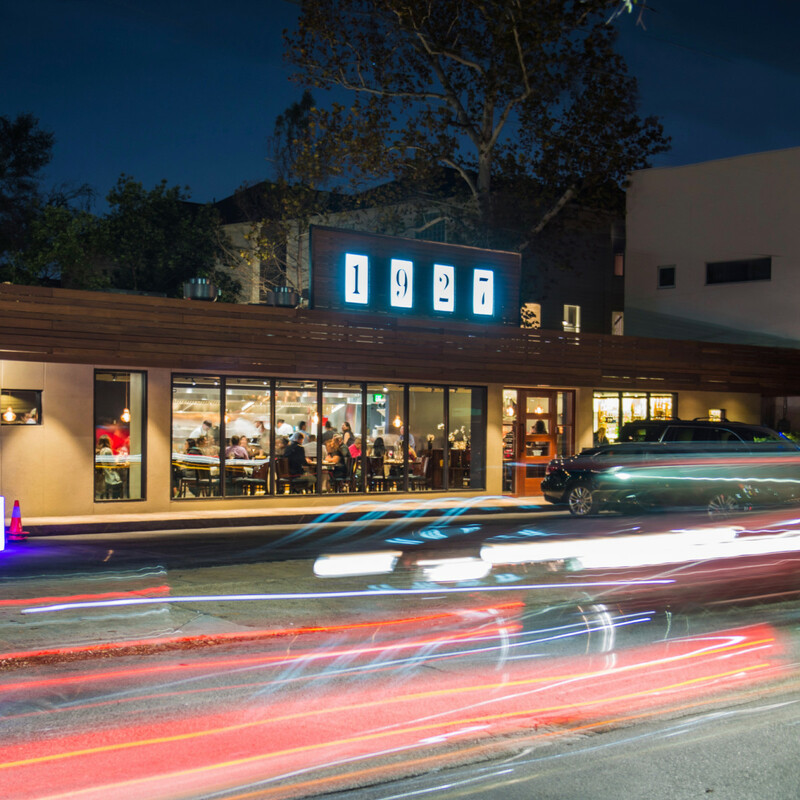 With so many choices to consider, ranking the year’s best new restaurants comes down to a mix of a professional assessment of a restaurant’s overall quality — has it raised the game for other restaurants? Is it innovative? Is it consistent? — with some personal opinions about desirability — i.e., how quickly do I want to eat there again? What feedback am I hearing from friends about their experiences? Keeping this list to 14 made for some difficult choices. While I’ve really enjoyed burgers and tots at FM Kitchen & Bar, it doesn’t seem quite special enough to make this list. Newly-opened establishments like Emmaline and Doris Metropolitan might have earned a spot if I’d had more time to evaluate them. 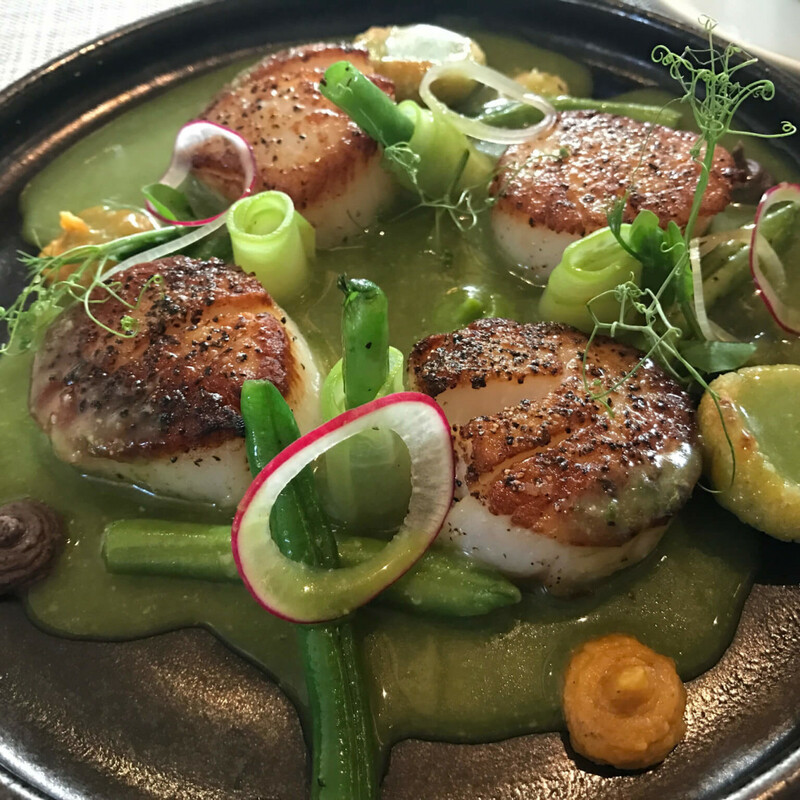 Restaurants like Kiran’s and Kitchen 713 that moved to new spaces and elevated what they do probably deserve consideration, but I chose to select places that opened their doors for the first time in 2017. Although I recognize that poke is this year’s hottest trend, most of the restaurants seem too similar to elevate one over the others. My apologies to those who have strong feelings about the merits of SeaSide Poke versus Pokeology versus Pokeworks. With that in mind, here’s my list of this year’s best new restaurants. Feel free to head to the comments, Facebook, or reddit to call me an idiot. After working at both Underbelly and Reef, diners had high expectations for Ryan Lachaine’s Montrose restaurant. The concept, a mix of the Asian-influenced Southern cuisine he served at those restaurants mixed with elements of his Canadian upbringing and Ukrainian heritage, sounded like the sort of high wire act that could go either really well or really poorly. Thankfully, Lachaine and his talented crew have been firing on all cylinders since day one. Riel demonstrates equal flair with Southern classics like fried oysters as it does with Eastern European-inspired items like pierogies and borscht. A stylish room, well-curated beverage program, and enthusiastic service all combine to make Riel a restaurant that I’ve gone back to again and again. For all of its culinary diversity, Houston doesn’t have a restaurant that’s quite like Aqui. The menu’s blend of Japanese, Thai, and Filipino influences allow diners to hop from dishes like tuna kinilaw and hamachi crudo to pandesal rolls with jam, Cornish hens stuffed with black rice, and expertly roasted pork belly. The section labeled perfect bites offers nigiri-sized morsels that are so intensely flavored they’d be overwhelming as larger dishes. 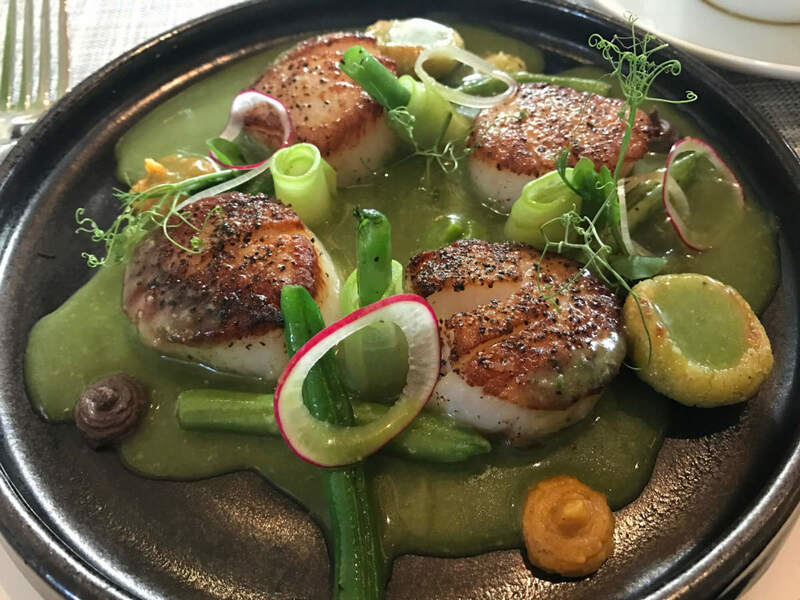 While owner Paul Qui is only an intermittent presence, chef de cuisine Gabriel Medina, sous chef Niki Vongthong, and pastry chef Jillian Bartolome give the kitchen a powerhouse trio that are constantly trying new ideas. On a recent visit, one of those included a tostada topped with lightly cured tuna, Iberico ham, and herbs that delivered an unexpected mix of crunchy, salty, and meaty textures and flavors. With its distinctive double-gabled front and massive open kitchen, it’s also this year’s best-looking new restaurant. That doesn’t necessarily make the food taste better, but it doesn’t hurt. Houstonians long ago came to understand the difference between Tex-Mex and regional Mexican cuisine, but Xochi opened the city up to flavors. By combining his childhood memories with his professional experience, Hugo Ortega took diners to Oaxaca, the wildly diverse region that’s inspired celebrity chefs like Noma’s René Redzepi and Chicago chef Rick Bayless. The restaurant’s cuisine came together for me during a dinner in August. The depth of flavor in the different moles, the precise cooking of both meat and seafood and entrees, and the elegant plating of every dish left my friends and me utterly delighted. By any measure, 2017 has been a rough year for seafood restaurants; SaltAir Seafood Kitchen, Holley’s, and Peska closed, and Reef has yet to reopen after flooding during Harvey. But where others have struggled, Star Fish has shined. 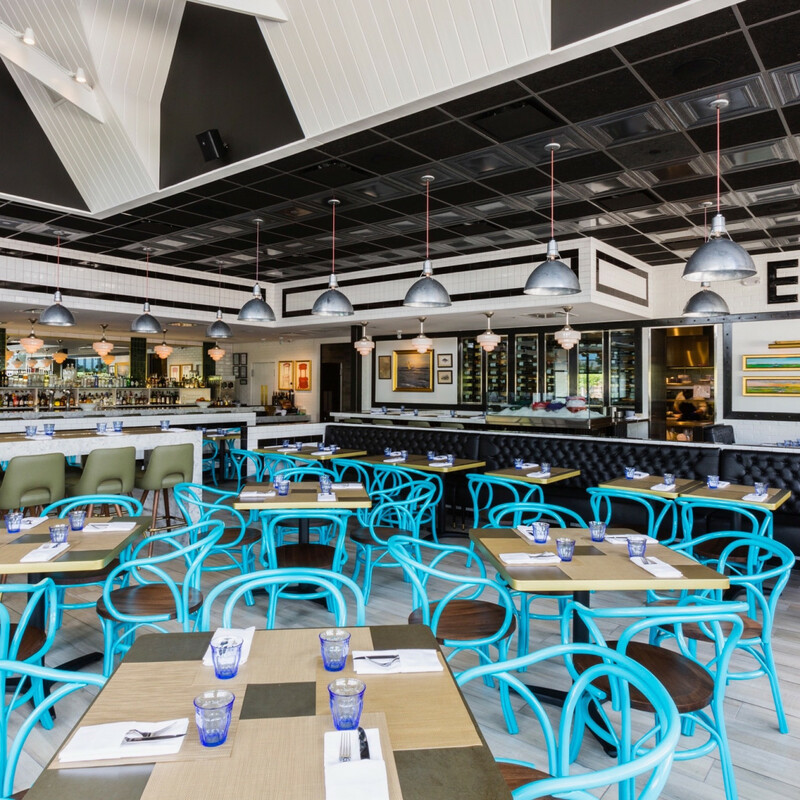 Credit Cherry Pie Hospitality partners Lee Ellis and Jim Mills with understanding that Houstonians still like a little meat with their seafood. Which means that diners can get a flavorful steak tartare (topped with crispy onions) or a lamb T-bone alongside an Asian-inspired salmon crudo, expertly fried whole snapper, and totally addictive shrimp with garlic noodles. A wide range of gin and vodka-based cocktails created by beverage director Laurie Sheddan Harvey and a bubbles-heavy wine list from general manager Leonora Varvoutis-Mancilla result in beverage options that match just about any taste. 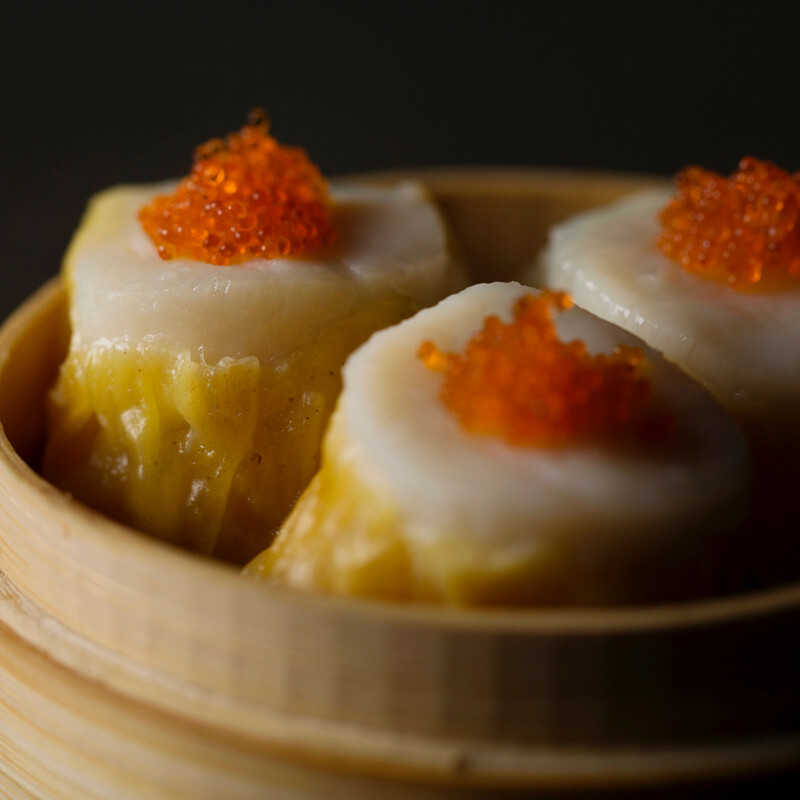 This restaurant’s premise — fancy dim sum with cocktails — seemed somewhat absurd in a city where it’s easy to feast on pretty good dumplings for $20 per person or less. That paying $6 for an order of pork and shrimp shu mai or even $10 for three small scallop shu mai seems reasonable (if slightly indulgent) is a testament to the flavorful combinations and careful preparations. 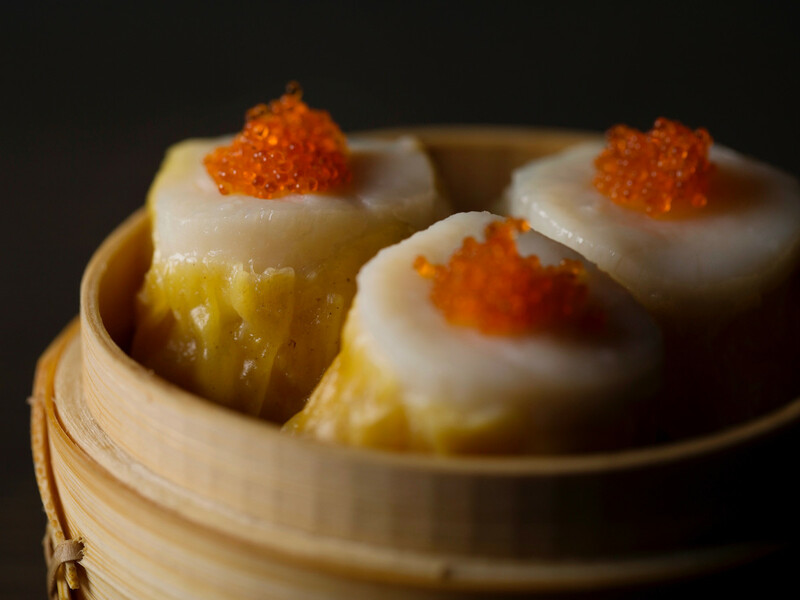 Other than using better ingredients — for example, using sweet, plump shrimp that shouldn’t be drowned in soy sauce — Yauatcha sets itself apart by considering texture, as in the signature prawn and crispy bean curd cheung fun that delivers a satisfying crunch under its soft wrapper. That doesn’t even account for the first-rate desserts that make the restaurant a destination for anyone with a sweet tooth. Knowledgeable servers who add tableside flair to the presentation of certain dishes provide the link to this restaurant and its Michelin-starred sibling in London. How does a casual neighborhood restaurant earn fifth place on my list? Admittedly, I’m betting on the potential of this newly opened EaDo restaurant, but two strong meals have made me a believer. Vaughan’s menu may not look exciting — the entrees include staples like seared snapper, grilled chicken, and hanger steak — but the execution leaves no doubt that the chef is carefully focused on every detail, as demonstrated by the green olives that give a briny pop to lamb tartare or the light, airy texture of the parmesan cheesecake (courtesy of pastry chef Julia Doran, formerly of Hunky Dory and Bernadine’s). I haven’t sampled the burger yet, but considering that Vaughan once worked at Au Cheval in Chicago, I am eager to try it. Co-owner Sean Jensen and the front of the house staff help imbue the space with the spirit of hospitality, and a carefully built vintage sound system means the room has just the right energy: loud enough to bop your head to the Talking Heads playing on the reel-to-reel but not so overwhelming as to drown out conversation. No wonder even Chris Shepherd is giving the place shout outs on Instagram. 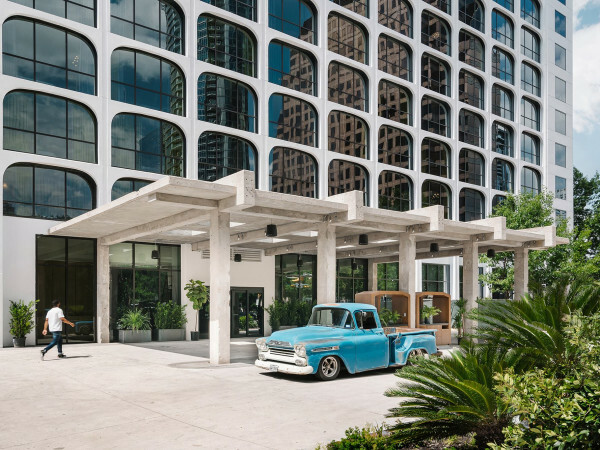 Historically, Houstonians have never embraced hotel restaurants in the same way that diners in other cities do, but Bryan Caswell’s concept in downtown’s Le Meridien hotel is different. By drawing inspiration from his childhood, Caswell avoids the steak, salmon, chicken sameness that makes hotel restaurants so boring. For Oxbow’s “elevated bayou cuisine,” Caswell offers dishes like East Texas caviar (ghost pepper caviar with andouille sausage and potato chips), Cast Net Bun Rieu (crab broth with a cake of raw crab and tomato), and the crispy skin snapper that’s been one of his signatures since Reef opened in 2007. Downtown office workers shouldn’t overlook it as a lunch option, where some of the items from the dinner menu mix with one-offs like a well-executed cheeseburger and a shrimp po-boy. After five years of serving tasting menus at Oxheart, Justin Yu closed that restaurant and replaced it with this modern bistro. While some elements of Oxheart remain, Theodore Rex deserves to stand on its own. Vegetable forward dishes like the utterly Instagrammable tomato toast, the decadent potato pave roasted with chicken drippings, and the crispy mushrooms are T Rex at its best, but my experience with meaty dishes has been more of a mixed bag. Yu’s commitment to seasonality and quality ingredients remains so strong that he’s about to remove the potato pave from the menu, even though it’s one of the restaurant's most popular dishes. While that’s certainly admirable, it also presents the challenge of creating something equally craveable. Ideally, I’d like to see the restaurant become Yu’s version of Coltivare: a restaurant that balances its more adventurous fare with a staple of core menu items that have broad appeal. I don’t know what Yu’s versions of Coltivare’s chicken wings or black spaghetti could be, but I want to eat them. The steakhouse incarnation of Chris Shepherd’s evolving restaurant would have ranked top three on my list. While I’ve enjoyed my visits to Romance Languages, it lacks some of the exuberance that made OF Steak such an exciting place to dine. Still, Shepherd and chef de cuisine Nick Fine have achieved something truly impressive by opening two fully realized restaurants in the same year. Dishes like snails en croute (aka, snail pot pie), duck heart bolognese, and chicken roulade (yes, really) demonstrate the refined techniques that make Romance Languages compelling. Owning Tiger Den and Mein already makes chef Mike Tran one of Chinatown’s most prominent restaurateurs, but he stepped things up in 2017 with three new establishments. Ohn Korean combines a speakeasy vibe with first-rate food and cocktails. Night Market’s transformation into a Thai restaurant has given it focus that it lacked initially. 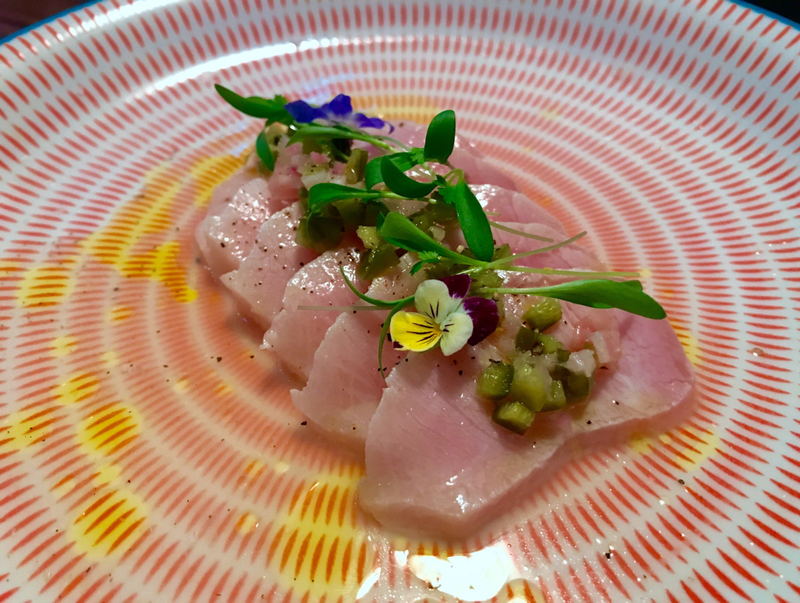 At a time when most poke restaurants serve similar menus, Laki Fish’s offering of pre-marinated fish and more complex salads stands out. Tran has at least two more concepts coming to the shopping center that houses Mein, Ohn, and Night Market: a coffee shop and an izakaya. If they’re of the quality of what he’s already accomplished, they’ll appear on next year’s list. 9630 Clarewood Dr; 9889 Bellaire Blvd. As he demonstrated with the hiring of Jeff Luhnow and A.J. Hinch, Jim Crane knows how to identify talented people to fill important leadership roles. When it came time to staff his two Italian restaurants, casual Osso & Kristalla and fine dining Potente, Crane found similar talent in veteran restaurateur Bill Floyd and executive chef Danny Trace. Trace brought the same respect for local ingredients he demonstrated at Brennan’s to Potente, and he also showed a flair for Italian cooking that he never got to demonstrate at the Midtown institution. 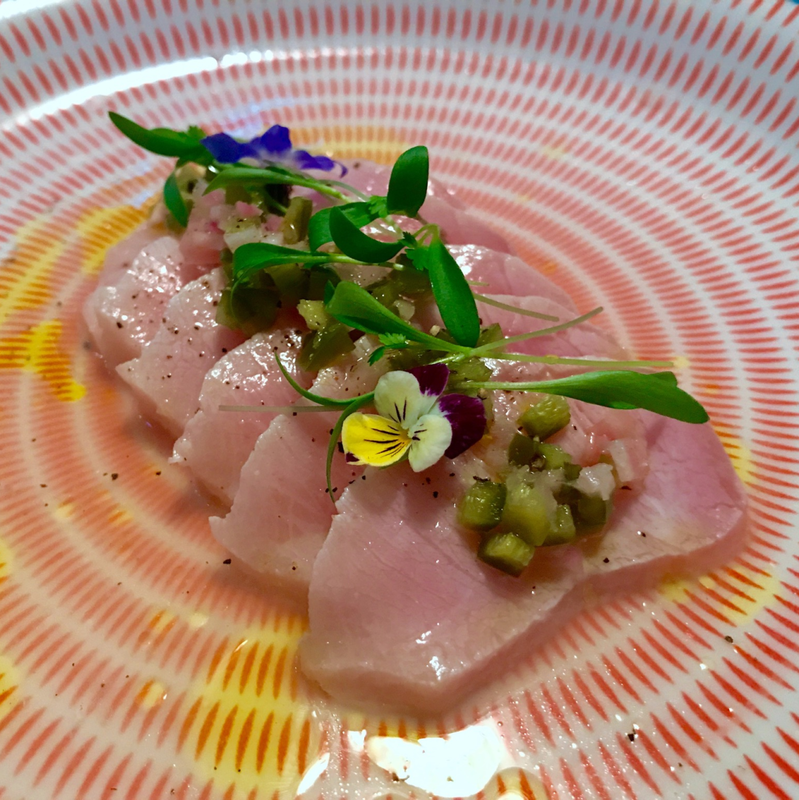 From tuna crudo with shaved foie gras to housemade spaghetti with black truffle, Potente’s cuisine consistently exceeds expectations. The talented front of house staff lends a sense of occasion to any meal, which is so important at Potente's fine dining price point. Besides, you never know when Crane will drop by to show off the World Series trophy. 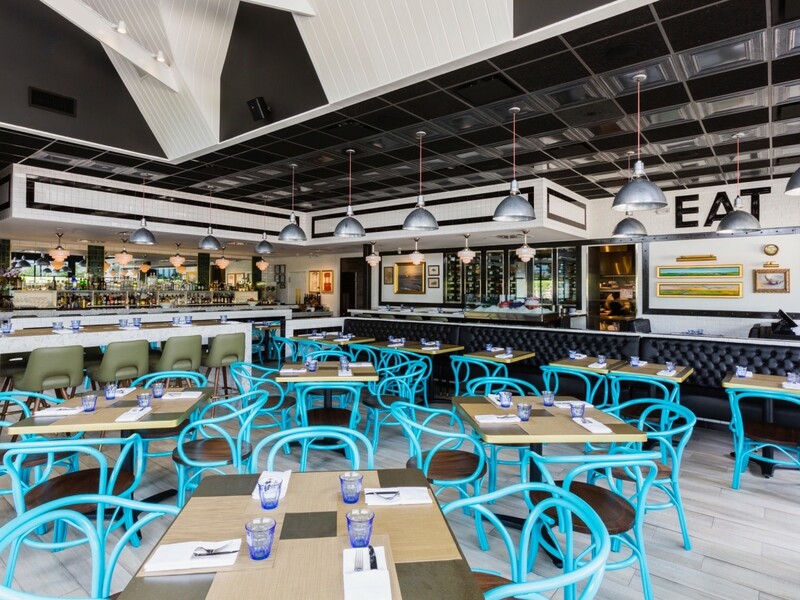 The Heights probably didn’t need another Southern-inspired, casual neighborhood restaurant, but chef Travis Lenig and business partner Chico Ramirez have transformed the former Zelko Bistro space into an establishment that would be a welcome addition in any part of Houston. Lenig’s menu offers unexpected twists on familiar fare — who knew fried oysters would pair so well with Brussels sprouts — alongside well-executed classics like a double-cut pork chop, fried fish sandwich, and the utterly addictive pimento cheese fritters. Ramirez and the front of house staff deliver smooth, enthusiastic service, and beverage director Monique Hernandez keeps the cocktails flowing.